User2 have been providing network data cabling and WiFi installations to business and home users for over 20 years. Are looking to extend wireless network coverage in your home? Perhaps you need to configure a new office for voice and data cabling? Alternatively you may need a repair to an existing installation. At User2 we have the expertise to handle most situations. FREE Network quotes - Free site surveys in Edinburgh. Including proposals for wireless connectivity across multiple floors, voice and data cabling infrastructure. 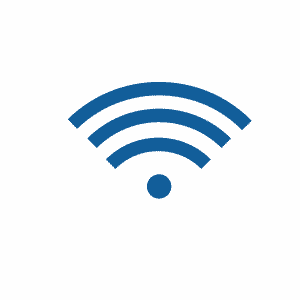 WiFi Coverage - Installation of wireless networks using multiple access points for larger areas, such as office spaces, warehouses or hotels. Home networks - Setup of home networks including cabling and WiFi. Applications for security systems, Sonos™ audio, plus centralized data file shares and backups. Network Fault Finding - Full diagnostics of network issues, including faulty wiring, switches, hubs, and routers. We also troubleshoot firewall setups and broadband internet issues. Network Cabling - Cat 5e and 6e cable installation, data cabinets, patress panels and switches as well as fiber optic cabling (Fiber via our partners). NAS - Network attached storage for backup or secure data sharing among multiple users. Ideal for smaller businesses. VOIP - Provisioning and setup of VOIP telephone systems for businesses through our partners at Byphone. Networking may seem daunting, not only the complexity of cabling installation, but also hardware configuration and security. User2 are here to help. Our experienced engineers not only install and configure your network, but also talk you through each stage with easy to understand explanations. Why not contact us today for a free no obligation estimate?